Homes By Guardian is a VA and FHA approved builder. We also accept conventional financing and cash offers. If you are considering financing a new home, we recommend you work with a lender you’re comfortable with. If you need help shopping for lenders or a loan we will also gladly provide some recommendations upon request. 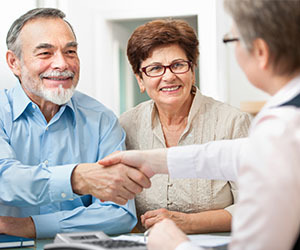 We recommend meeting with a lender before starting the shopping process. A quick meeting will give you a good idea of what price range home you should be looking for. They can provide you with monthly payment estimates as well as discuss your requirements for down payments, credit history, etc. Having a lender pre-qualification letter in hand while shopping for a home is also important so that when you find the right home, you’re ready to move forward. When buying new construction you might consider working with a lender who offers an extended rate lock program for new construction. This will help you know your worst-case scenario interest rate up front. Since it can take 6-8 months to build a new home, rates can change dramatically during that time and it can be stressful not knowing exactly what you will be paying. Have more questions? We’re more than happy to discuss in person. Contact us!